3.6V ULTRALIFE Lithium Clock Battery for Macintosh - Lowest Price! $7.88 includes shipping! We still offer the lowest delivered price for factory fresh full 1200 mAh batteries. Manufacture date stamped right on the battery. ULTRALIFE 3.6V Lithium 1/2AA Lithium Batteries meets or exceeds Apple specifications. These are 1,200 mAh capacity batteries, and not the wimpy little 850's sold by others! Has your system recently lost its mind? If your clock is not keeping time you need to immediately replace your clock battery. Failure to do so can cause drive errors and loss of data. Lithium Batteries in service last 3-5 years. We carry Mac Computer Listing for 3.6V LITHIUM Batteries, Power Mac G3&G4 All, Power Mac G5* (G5 - 1.6, 1.8, Dual 1.8-Dual 2.0) (800, 900, or 2x1.0 GHz system bus), Power Mac G5 (June 2004) (Dual 1.8, Dual 2.0, Dual 2.5), Power Mac G5 (Early 2005) (Dual 2.0, Dual 2.3, Dual 2.7). iMac G3,G4 All, eMac All, Power Mac 6100-7100-8100 Series All, Power Mac 7200-7215, Power Mac 7300-9600 All, Macintosh, Workgroup & Network Servers All, Mac Classic I & II, Mac Color Classic I & II, Mac IIx, IIcx, IIci, IIsi, IIvi, IIvx, IIfx, Mac LC, LC II, LC III & III+, Mac LC 475, 520, 550, Macintosh TV, Performa 200-560, 600 & 600CD, Performa 6100 Series All, Mac Quadra (All except 630), Mac Centris All, Powerwave, Powertower, Powercurve, Powercenter All, UMAX J700, S900, S910. $7.88 each includes shipping! We accept school P.O. 's and discount prices for over 10 batteries to one location. Call for quantity pricing. *Some G5 Towers used the Lithium Coin Cell listed below. Batteries are mailed 1st Class postage. Please allow up to 10 days for your order, or ADD one of the faster shipping options below. Please ship my battery order Priority Mail. Select your battery first! Add $6.00 to my order for Priority Mail shipping charge. Priority Mail shipping is usually 2-5 days and is not guaranteed delivery. For 3.6V, 4.5V or coin cell batteries only. 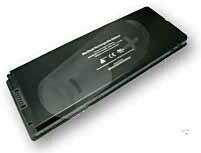 Laptop batteries and orders of 10 or more batteries are automatically shipped UPS Ground. Please ship my battery order UPS Ground. Select your battery first! Add this $15.00 charge to your order if you would like UPS Ground Shipping on your small battery order. 2 to 5 days depending on your proximity to Oklahoma City, OK. Besides being faster you also receive a tracking number with your order. Orders of 10 or more batteries are automatically upgraded to UPS Ground. For 3.6V, 4.5V or coin cell batteries only. 4.5V Alkaline Clock Battery for Macintosh - $24.88 includes shipping! The original style of this battery is no longer being produced. We were able to locate a slightly different version that fits and works perfectly. It even had the velcro hold down just like the original. This new style is factory fresh! Others out there in the old style are just that old. 4.5V Alkaline Clock Battery for Macintosh. Systems that use this style battery may fail to start if the battery is dead. Alkalines last as little as a year, though 2-3 years is typical. Mac Computer Listing for 4.5V ALKALINE Batteries: Mac LC 575-630, 630 DOS Comp. Performa 575-588, 630-640, 5200-5440, 6200-6420 All, Mac Quadra 630, Power Mac 4400-5500 All, Power Mac 6200-6500 All, Power Mac 7220, 7220 PC Comp., Twentieth Anniversary, Power Computing PowerBase, Motorola StarMax 3000, 4000 Series, Umax C500, C600, J710. $24.88 each includes shipping! We accept school P.O. 's and discount prices for over 10 batteries to one location. Call for quantity pricing. Batteries are mailed 1st Class postage. Please allow up to 10 days for your order, or ADD one of the faster shipping options above. Leave it to Headgap to bring you a Factory Fresh Lithium replacement battery at a reasonable price for the iMac G5 all models. Includes pictured installation instructions. If your clock is not keeping time you need to immediately replace your clock battery. Failure to do so can cause drive errors and loss of data. Equivalent to 922-6476. Meets or exceeds specifications. Our low $7.44 price includes domestic shipping. We accept school P.O. 's and discount prices for over 10 batteries to one location. Call for quantity pricing. Batteries are mailed 1st Class postage. Please allow up to 10 days for your order, or ADD one of the faster shipping options above. Factory fresh Lithium replacement battery for the Mac Mini all models. Includes pictured installation instructions. If your clock is not keeping time you need to immediately replace your clock battery. Failure to do so can cause drive errors and loss of data. Equivalent to 922-6476. Meets or exceeds specifications. Our low $7.44 price includes domestic shipping. We accept school P.O. 's and discount prices for over 10 batteries to one location. Call for quantity pricing. Batteries are mailed 1st Class postage. Please allow up to 10 days for your order, or ADD one of the faster shipping options above. Factory fresh Lithium replacement battery (coin cell style) for certain G5 Tower models & all MacPro Tower Models, and all INTEL iMacs. 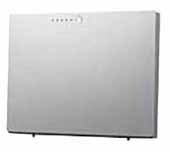 FITS ONLY THESE MODELS: Power Mac G5 (Late 2005) Single 2.0, Single 2.3, Dual 2.5, Power Mac G5 (Late 2004) (Single 1.8 Ghz) (600MHz System Bus) G5 Quad Core. MacPro Towers ALL, INTEL iMacs ALL. If your clock is not keeping time you need to immediately replace your clock battery. Failure to do so can cause drive errors and loss of data. Equivalent to: 922-6476. Meets or exceeds specifications. Our low $7.44 price includes domestic shipping. We accept school P.O. 's and discount prices for over 10 batteries to one location. Call for quantity pricing. Batteries are mailed 1st Class postage. Please allow up to 10 days for your order, or ADD one of the faster shipping options above. Sorry we can find no quality battery produced in this size. Restore Your Mac's Runtime! 65 Watt-Hour battery. NuPower batteries are engineered to perfectly complement the fit and finish of your Mac notebook as well as offer full compatibility with applicable OEM sleep and power reduction modes. NuPower battery upgrade solutions are environmentally responsible and feature RoHS certification to be free of lead, mercury, cadmium, PBBs, and PBDE. We also offer an industry-leading 1 Year NewerTech Laptop Battery Limited Warranty. When high-performance, quality, and longevity are your battery upgrade criteria, NuPower is your answer. NuPower batteries are designed to meet and exceed factory specifications. With renewed battery life you can listen to more music, watch more videos, and get more work done between recharges. To ensure your confidence and satisfaction, these highest-quality batteries are backed by free, award-winning US-based support and a one-year, 48-hour or less turnaround warranty. Replacement tools included. Our low $94.99 price includes domestic shipping. We will install these free when you purchase with a MacBook. iBook (Late 2001, 2nd generation Dual USB - 12") High Capacity LiIon Battery - new, SPECIAL $96.77 includes shipping! SPECIAL $96.77 shipped! MORE CAPACITY than the Apple Original Battery. iBook "Dual USB" Replacement Battery 4400mAh. Upgrade or replace your original Apple iBook G3 12" "Dual USB" battery today with a 4400mAh replacement battery today! 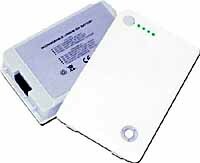 FITS: This battery is compatible with the following Apple iBook G3 12" Systems: iBook Dual USB - 500MHz, iBook (Late 2001) - 500/600MHz, iBook (16 VRAM) - 600/700MHz, iBook (Opaque 16VRAM) - 700MHz, iBook (32 VRAM) - 800MHz, iBook (Early 2003) - 800/900MHz. Apple equivalent replacement part numbers: 661-2472, A1008, A1061, M8403, M8433, M8433G, M8433GA, M8433G/A, M8433GB, M8433G/B, M8626G/A, M8956, M8956G, M8956GA, M8956G/A, M9337, M9337G, M9337GA, M9337G/A. 1 yr. manufacturers warranty. MORE POWER! 4400 mAH. SPECIAL $96.77 includes domestic shipping. MacBook Pro 15" Replacement Battery, Brand New, 1 Year Warranty 5500 mAh 11.1V. Fits the following models. MacBook Pro 15.4inch MA609LL/A, MacBook Pro 15.4inch MA610LL, MacBook Pro 15.4inch MB133LL/A, MacBook Pro 15.4inch MB134LL/A, MacBook Pro 15.4inch MB166LL/A, MacBook Pro 15inch series, MacBook Pro MA600LL/A, MacBook Pro MA601LL/A, MacBooK Pro MA609LL/A, MacBook Pro MA610LL/A, MacBook Pro Z0DK, MacBook Pro Z0DL, MacBook Pro Z0DPGLOSSY, MacBook Pro Z0DQGLOSSY Replaces battery A1175, MA348G/A, MA463LL/A, MA464LL/A, MA600LL/A, MA680LL/A, MA601LL, MA466LL/A, MA681LL/A Our $109.77 includes shipping! MacBook Replacement Battery, Brand New, 1 year Warranty, 5000 mAH, 10.8V. Replaces these battery numbers: A1185, MA561, MA561FE/A, MA561G/A, MA561J/A, MA561LL/A, MA566, MA566FE/A, MA566G/A, MA566J/A, MA566LL/A. Our $92.77 includes shipping! Mac Book Replacement Battery, Brand New, 1 year Warranty, 5000 mAH, 10.8V. Replaces these battery numbers: A1185, MA561, MA561FE/A, MA561G/A, MA561J/A, MA561LL/A, MA566, MA566FE/A, MA566G/A, MA566J/A, MA566LL/A. Our $119.77 includes shipping! Powerbook G4 15" Aluminum Quality Replacement Battery. High Powered 4800 mAH Battery. New with 1 Year Factory Warranty. Apple equivalent replacement part numbers: A1045, M9325G/A, M9325. Our Price $109.77 includes domestic shipping. Powerbook G4 17" Quality Replacement Battery. High Powered 5400 mAH Battery. New with 1 Year Factory Warranty. Apple equivalent replacement part numbers: M9326, M9326G/A, A1039. Our Price $124.77 includes domestic shipping. 3.6V Axial Lead Lithium Clock Battery for Macintosh - $16.88 includes shipping! NEW, rare battery type for the following Mac Computers: Mac II, Mac IIx, Macintosh SE. PLEASE NOTE: this battery requires SOLDERING for installation. 1/2H AA size. $14.99 each includes shipping! Also note that some Macs may have had the snap in conversion done and later models in the line use the more affordable snap in 3.6V. You should check your system before ordering. The battery may vary from picture but will fit perfectly. We accept school P.O. 's and discount prices for over 10 batteries to one location. Call for quantity pricing. Batteries are mailed 1st Class postage. Please allow up to 10 days for your order, or ADD one of the faster shipping options above. 4.5V Panasonic PX-21 Alkaline Replacement Clock Battery for Macintosh - $19.99 includes shipping! NEW, factory fresh, aftermarket rare battery type for the following Mac Computers: Macintosh 128K, Macintosh 512K, 512KE, and Macintosh Plus. $12.99 each includes domestic shipping! This is a direct replacement for the battery style shown and is not a Panasonic battery. Limited quantities available. We accept school P.O. 's and discount prices for over 10 batteries to one location. Call for quantity pricing. Batteries are mailed 1st Class postage. Please allow up to 10 days for your order, or ADD one of the faster shipping options above, near the top of the category.